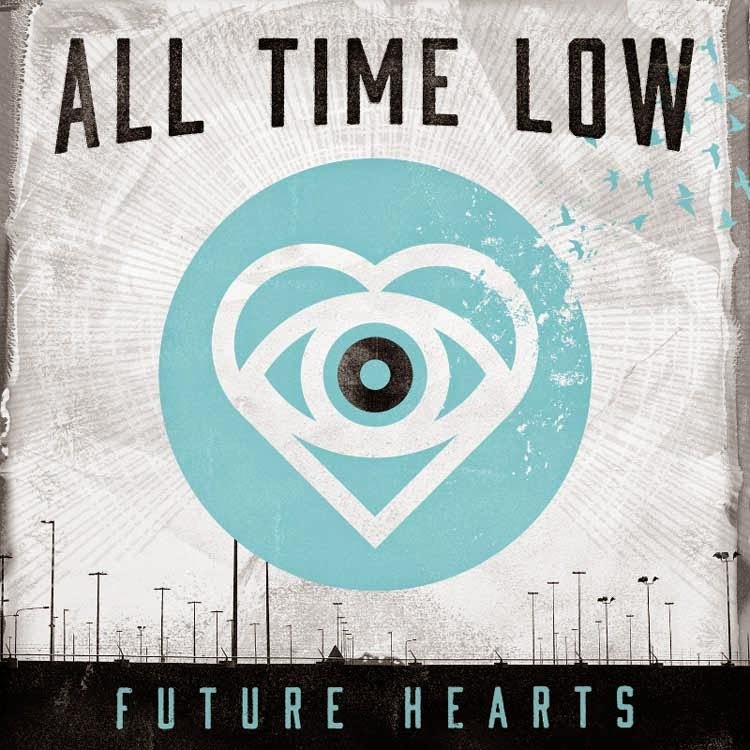 All Time Low's sixth studio album, Future Hearts, was released on Monday (6th April) in the UK and it sounds saaaaa gooooood. I love how their sound has progressed, but is still very true to their style. There are quite a few songs on this album that I just can't stop listening to, and so I thought I'd give a little insight into my favourites. Satellite is such a strong start to the album, I think it works so well as the opening track. It feels quite anthemic, in the sense that I can imagine a crowd chanting along all throughout it at a gig. 'Wishing on a star that's just a satellite' is one of those hopeless lyrics that I personally love, because it's the kind of thing that everyone understands, and I love that music can bring a sense of mutual understanding among an array of people. I really like how Runaways sounds and how it's been put together. The chorus is definitely my favourite part, I think it's so strong and catchy. I love the message of the song, and how it's about running away and finding your own path and doing your own thing. Missing You might be my favourite on the album. It's a pretty, simplistic ballad, my favourite type of song, and it just sounds so delicate and beautiful, which isn't exactly how I would describe ATL's sound overall, but this just works so well; it is so pretty, I can't get over it. I love the lyrics and the way they seem so intricately placed together; they sound so thoughtful and deep, and that's always so refreshing to hear. I really love this song. The main thing stopping me from committing to Missing You being my favourite song is Tidal Waves, which is also absolutely wonderful and with a similar ballad form. I really feel this song, and it's so well thought-out lyrically, with the metaphor of a wave being something you can't avoid that just washes over you. Alex and Mark's voices blend so well together with such a lovely tone, and it just adds even more to the calm but tragic feel of the song. Don't You Go reminds me of a mixture of Good Charlotte's The Anthem and The All-American Rejects' Move Along (I think????? Kind of???? ), just in terms of overall sound. It's a classic punk/pop kind of song, and I don't think there's anything not to like about it. Really upbeat, with a really fun sound. I just really, really love The Edge of Tonight; it starts off kind of mellow, but it's still so anthemic the whole way through, and I love how they've combined the softness of the song with a strong beat. I think it sounds incredible. The final song on the album has the most wonderful message within it. Old Scars/Future Hearts is up there in my top three on this album for sure; it's catchy and has some of my favourite lyrics on the album. 'I don't wanna be the one that's left behind, don't blame me, don't hate me', 'I won't fade away', 'this life is mine to live', 'waking up just to catch yourself dreaming again', 'we've got scars on our future hearts but we never look back'. I just really love this song. I honestly, really like the whole album; I love Kids in the Dark and, of course, Something's Gotta Give a lot too, even though I haven't gone into any detail on them here. I just think the album's to such a high standard and I am thoroughly impressed with it. You can listen to Future Hearts on youtube here, and I'd really recommend giving it a go, as there'll probably be at least one song on there you'll like even if it's not really your kind of thing. And the album is available on iTunes here if you like it as much as I do.